WILEY'S FLIES IS LOCATED JUST OUTSIDE LAKE PLACID IN RAINBOW LAKE, NY. MANY OF OUR FLY SHOP CUSTOMERS STAY IN LAKE PLACID AND WANT TO COME FLY FISHING IN THE ADIRONDACKS, WE HAVE THE BEST STOCKED FLY SHOP AND CARRY OVER 800 FLY PATTERNS AND THE MATERIALS TO TIE THEM ALONG WITH EVERYTHING ELSE YOU NEED TO GET ON THE WATER FROM RIO, ST. CROIX, WILLIAM JOSEPH AND CHOTA JUST TO NAME A FEW. WE OFFER GUIDED FLY FISHING OR SPIN FISHING SERVICES FOR FLOAT, WADE AND LAKE TRIPS THROUGHOUT THE NORTHERN ADIRONDACKS FOR BASS, MUSKY, NORTHERN PIKE, SALMON AND TROUT. CHECK OUR GUIDED TRIPS PAGE FOR MORE INFO ON TRIPS WE OFFER AND BE SURE TO LOOK AT THOUSANDS OF PRODUCTS IN OUR ON-LINE STORE. 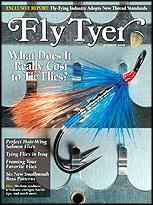 The most diverse fly fishing outfitter with the largest selection of flies and fly tying materials in the Adirondacks. Guided fly fishing the Ausable River, Chateaguay River, Chazy River, Raquette River, Saranac River, St. Regis River and too many more that we can't name here! Private water available. Come see us and we will make it worth the visit!